This means no congressional bailout for now. But the fight goes on. The automakers will now turn to the White House, which urged the Senate to pass this bill. 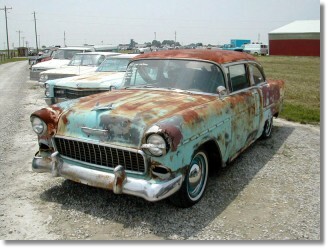 The Detroit three will ask Bush to allow Paulson to use some of the bank-bailout money to save the car companies. It’s possible that Bush will cave, but one hopes he won’t want to go out on that note. All praise to Mitch McConnell for leading the charge that beat back this lunacy. Can someone explain why the White House thought this was a good idea? This entry was posted on December 12, 2008, 10:53 am and is filed under Current Events, Social and Politics. You can follow any responses to this entry through RSS 2.0. You can leave a response, or trackback from your own site. If ya’ can’t compete with ’em, get out of the kitchen. Wait a minute, I smell a rat. Doesn’t Chrysler own as much of Mitsubishi as Japanese law allows? And isn’t Mazda a subsidiary of Ford? And isn’t GM heavily invested in Toyota? Hmm. Something’s not right here. Something’s not right at all.